BOGOTA (Thomson Reuters Foundation) – The release of scores of child soldiers from Colombia’s FARC rebel group is a top priority, but some are reluctant to leave because they fear an uncertain future away from the insurgents they view as family, a guerrilla commander said. Victoria Sandino, a commander with the Revolutionary Armed Forces of Colombia (FARC), has a seat at the negotiating table where the government and FARC are working to revive a peace accord signed by both sides but narrowly rejected by voters in a referendum earlier this month. She said children are wary about leaving rebel ranks. “They don’t want to leave the organization,” Sandino told the Thomson Reuters Foundation in a telephone interview from Cuba where peace negotiators are gathered. “And now that there’s no fighting, we are expected to leave … the environment we know, the people we know, and our family because the FARC organization is a big family for all of us,” she said. 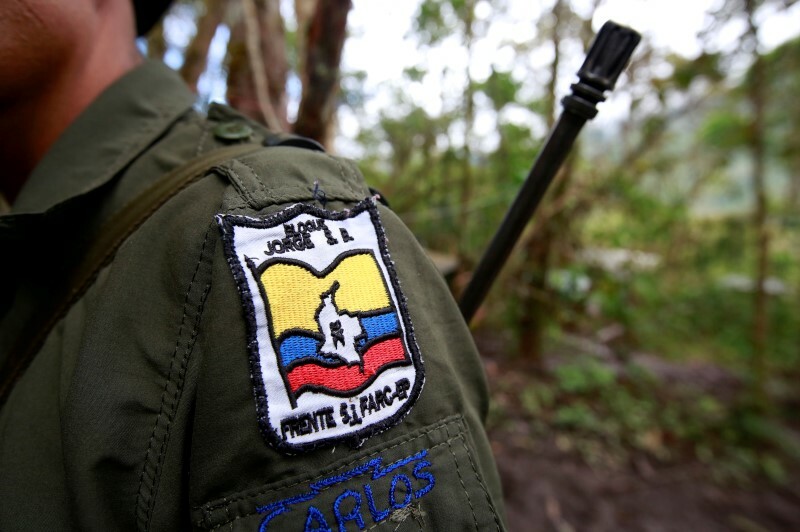 Last month the FARC released eight child soldiers aged under 15 as part of peace talks. Sandino said there are no more combatants under 15 in rebel ranks and reiterated the FARC’s commitment to release all its remaining child fighters, mostly aged 16 and 17, despite the referendum result. But such efforts have been slow, further hampered by uncertainty over the future of the peace accord. Under the signed peace deal, rebel fighters move to designated areas across Colombia and hand in their weapons. “There’s a lot of resistance on the part of the other minors under 18 with regards to leaving before we all reincorporate (into civilian life),” Sandino said. Government and FARC peace negotiators have been mulling over dozens of proposals this week from representatives of those who voted against the accord as too lenient on the rebels. The “No” side, led by Alvaro Uribe, a former president and opposition rival, wants rebels who have committed war crimes to be confined for five to eight years – possibly on agricultural farms – and banned from elected office. They were outraged that the accord offered 10 congressional seats and punishments like clearing landmines instead of jail, in return for ending a five-decade conflict that has killed more than 220,000 people and displaced 7 million. “The spirit of the accord is there, and it will continue and be preserved, but we will and we are trying to collect many of these concerns expressed by many sectors,” Sandino said. Yet there may be little room for manoeuvre as the FARC have repeatedly refused to consider jail time and want to form a political party, experts say. And the clock is ticking for negotiators to hammer out a new accord before a government ceasefire – extended a second time by President Juan Manuel Santos – ends on December 31. Around 11,000 children have been recruited into FARC ranks since 1975, according to Colombia’s attorney general’s office. Former child combatants have said they voluntarily joined the FARC, many to escape abuse and poverty at home and others because they became orphans as a result of the war. “They are not prisoners,” Sandino said. But the FARC have long been accused by human rights groups and the government of forcibly recruiting children, especially from Afro-Colombian and indigenous groups, in jungle areas. Around 6,000 child soldiers have either deserted or been rescued by state security forces. They had been used as porters, messengers and informants, and trained to fight and plant landmines. A report earlier this month by the U.N. secretary-general on children and armed conflict said some minors were forced to commit serious crimes while in rebel ranks, including one 12 year-old who was forced to torture and kill his friends. Sandino, who holds a journalism degree, left for the jungle to join the FARC when she was 25, motivated by the group’s Marxist ideals, and moved up the ranks to become a commander. Women make up 40 percent of the FARC’s 7,000-strong fighters and have fought alongside men during combat, she said. “We have been there shoulder to shoulder with men,” Sandino said. “As we have contributed in the war, so today we are fully ready and with all our ability and our experience to contribute to peace,” she said. While peace negotiators revise the deal, fighters are contemplating the chance of going home and being reunited with their sons and daughters many have not seen for years. With parenthood not an option in the middle of war, most rebel fighters who got pregnant either had an abortion or handed over their babies to relatives or strangers to look after. Now what is weighing on their minds is whether they can become a part of their child’s life, Sandino said. “Many of the female guerrillas aren’t thinking ‘Well now I’m out, so I’ll go and pick up my child from a family that helped raise my child’,” Sandino said. What will happen after the Colombian government and the guerrilla group FARC finalized a peace deal, ending the long-running war? An official end to war with the FARC is only the start of the road to peace. A historic ceasefire deal brought Colombia’s government and leftist FARC rebels close to ending the longest running conflict in the Americas. Capping three years of peace talks in Cuba, it sparked celebrations, and set the stage for a final deal to end a guerrilla war born in the 1960s out of frustration with deep socio-economic inequalities.